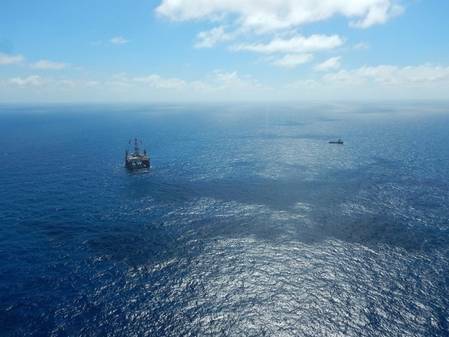 Drilling in the South China Sea by Rosneft is within Vietnamese territorial waters, the Russian state oil firm said in a statement on Thursday, two days after its Vietnamese subsidiary began drilling in Vietnamese waters claimed by China. Rosneft's local unit, Rosneft Vietnam BV, is concerned that its recent drilling in an area of the South China Sea that falls within China's "nine-dash line" could upset Beijing, two sources with direct knowledge of the situation told Reuters on Wednesday. "Offshore license areas of Rosneft on the South China Sea are situated within the territorial waters of Vietnam," Rosneft said in its statement. "The Company conducts its operations on the shelf of Vietnam in a strict accordance with the license obligations and compliance with the subsoil use legislation of the Republic of Vietnam".